Apologies for a long absence – it is mostly because in the past month I’ve gone from bumbling along in a rented flat in Elephant and Castle to all of a sudden having a mortgage on a flat in Peckham. 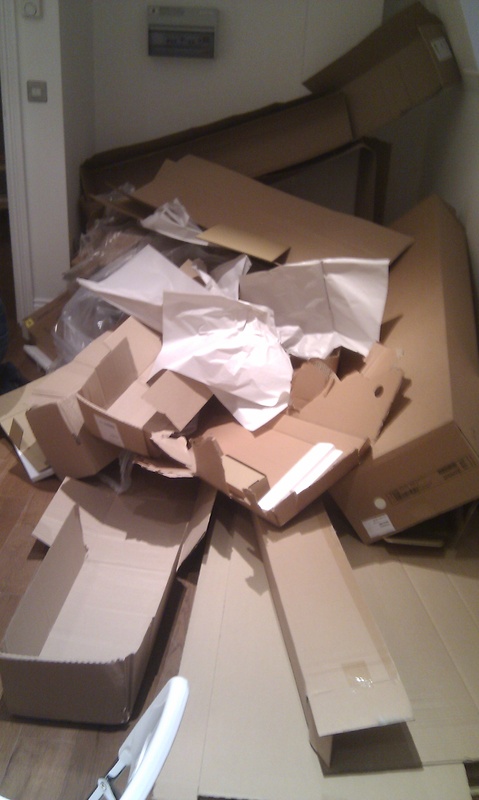 It’s by no means over yet, with the result being Box Mountain, courtesy of IKEA. Anyway, I’m now in possession of a mortgage that I really can’t afford, so you can expect to see some more ‘interesting’ restaurant reviews here and certainly more inventive home cooking ways of making about 40p go further.